Ever wondered why science and politics don’t play nice? Naomi Oreskes tells us why in this history of climate science. The naive vision of ‘we do the facts then hand it over to the policy makers and they act on it’. That would be great in a perfect world, and it worked for ozone so scientists could be forgiven for thinking that was realistic, but it hasn’t worked this time around. 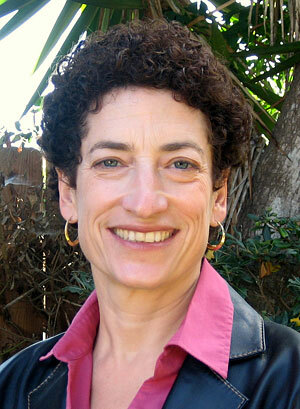 Naomi Oreskes is Professor of the History of Science and Affiliated Professor of Earth and Planetary Sciences at Harvard. Professor Oreskes’s research focuses on the earth and environmental sciences, with a particular interest in understanding scientific consensus and dissent. Her 2010 book, Merchants of Doubt, How a Handful of Scientists Obscured the Truth on Issues from Tobacco to Global warming , co-authored with Erik M. Conway, was shortlisted for the Los Angeles Time Book Prize, and received the 2011 Watson-David Prize from the History of Science Society. Narrowing of focus of science…the rise of specialisations, a powerful tool but comes at cost of broader perspectives. After 1940s, increasing recognition of role of science and technology in modern warfare…not entirely new but…becomes much stronger. We might like to believe that there is a litmus test for the truth…the reality is that it doesn’t really work that way. Continental drift…as a model for how scientists judge evidence independent of political interference (was originally uncontroversial before people realised had age of earth implications). Climate change is applied physics and chemistry. By 1965 signals that carbon in the atmosphere was increasing…(but)… most scientists thought we wouldn’t be able to detect climate change from increased greenhouse gases until the 21st Century. The surprise in the story was when it occurred sooner. when already the the late 1980s and early 1990s the effects were beginning to be seen. There is no question that Revelle thought it could be a problem, he wasn’t 100% sure that it would be a problem and how soon it would be a problem. The idea that it (anthropogenic climate change) could be a problem was on the table going back to the late 1950s. Gordon MacDonald was one of the first in the US to say that climate change could be a problem. He wrote about it in the 1960s and called it inadvertent weather modification. At that time he’s a relatively quiet voice, its not a big issue in the environmental movement as a political issue but it turns out to be really really important politically…today in the US the Environmental Protection Agency has the legal authority to regulate carbon dioxide as a pollutant, this has been affirmed by the Supreme Court and we are waiting for the EPA to do this. The Clean Air Act 1973 includes weather and climate in the issues the Act has authority over… that is because people already understood at that time that pollution had the potential to cause changes in weather and climate. And that work was largely done by Gordon MacDonald. By the 1980s climate modellers are building climate models that they now think are good enough to be able to predict what the climate signals should look like if there were no additional greenhouse gases in the atmosphere versus what it actually does look like. In 1988 James Hansen and his colleagues published a paper in which they said that they believed climate change had become detectable. (That was controversial but it reached public awareness). In the next few years there’s this tremendous political momentum begins to build and its that momentum that also triggers the backlash…a right-wing turn against science. This is the bad luck story – what historians call a history contingency…the growth of neo-liberal economics happened just around the same time as scientists begin to find evidence of some really major global environmental problems. So as environmental concerns moved from local to global issues…gigantic issues with huge economic consequence…just at the same time as Margaret Thatcher and Ronald Regan are promoting deregulation in the economic environment, scientists are pointing out these very major potentially grave environmental threats, and how do you prevent acid rain…climate change…protect the ozone…? Well the answer is regulation, and sometimes really big scale regulation like international conventions with significant political implications. So we were beginning to see the advocates of free market policies turning against science. People who up until then had generally supported science as supporting industry…the business community valued science because it helped create technology, now you see large sectors of the business community beginning turn against science. And that is the historic Greek tragedy part of the story, things go downhill from there very seriously and very quickly. Critical analysis is one thing, dishonest attack is another. Scientists have been conservative in their estimates of the rate and degree of climate change over the last 30 years. The whole issue of climate change is now so political and so difficult that I think a lot of people in the scientific community are kind of spooked. And they’re nervous and they don’t really know how to respond. And I think a lot of scientists think that if they’re just very cautious and very careful and very conservative that that will preserve and protect their credibility. Absolutely scientists should be conservative and should not make claims they can not support with evidence and high quality data…the question is once you have that data, what do you say about it? And if you don’t think the world is responding, if you don’t think the world gets it, then that tells me that you aren’t communicating it clearly enough. How do we communicate clearly in ways that are effective and truthful and correct? It’s not an argument in favour of exaggerating the science or saying things that aren’t true. It’s about taking what we believe to be true and communicating it clearly. But now you’re up against the largest, most successful, most profitable business in the history of mankind, you’re up against an economic system that depends on burning fossil fuels, you’re up against a lifestyle – every rich person in the world because we live off the energy stored in fossil fuels, and I don’t mean rich-rich, I mean all of us, every person who lives in the West. Can science compete against the business system with vested interests in us over-consuming? That’s the $64,000 question…that is the question that will determine the what happens in the next 100 years. If we can’t figure out a way to act upon what we know then we’re going to see a lot of pain and suffering. (Am I an activist?). Not really, I teach classes and do my research. Students often ask me…”what should they do?” and I always say you have to figure that out for yourself – based on who you are, what your temperament is, what your personality is, what your talents are, what resources you have at your disposal…so I’m a scholar, and I love doing the work I do. …. I feel like I’ve ended up in a place that has worked out being meaningful, and valuable, and I think the best thing I can do is keep on doing what I’m doing. Naomi was in Dunedin for the Science Teller Festival organised by the Centre for Science Communication at the University of Otago. We are grateful for the organisers of the Festival in their help in arranging this episode of Sustainable Lens.